Carn Menyn, Frost shatered rocks are called "Blue Stones" or Bluestones and were taken from here to build Stonehenge on Salisbury Plain. 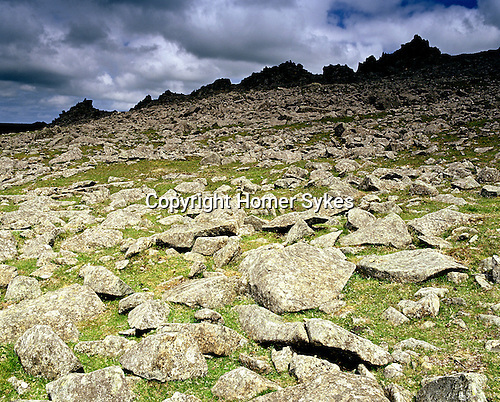 Carn Menyn, Prescelly Presceli Mountains, Nr Crymych Pembrokshire Wales. Celtic Britain published by Orion. Frost shatered rocks are called "Blue Stones" or Bluestones and were taken from here to build Stonehenge on Salisbury Plain.